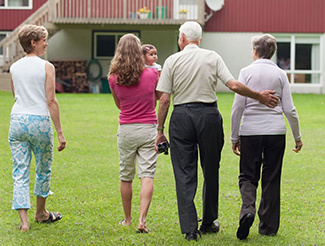 A reverse mortgage is for primary residence, owner-occupants, 62 years of age or older. As long as credit is good, taxes and insurance paid to date, there is usually no income, no asset check on this loan. There is no mandatory monthly repayment although you can pay the loan back if so desired. If you do not make any payments the interest accrues and you go in reverse. You borrow $100,000 at 4.75% fixed and at end of year you would owe $104,750 if you made no payments. Cash taken on a reverse mortgage is not considered income. It is tax deductible if you pay the interest and when home is sold it may be tax deductible in respect to net gain. You do not give up ownership to the home. Deed stays in your name. The Reverse must be paid off when the primary occupants no longer occupy the home. 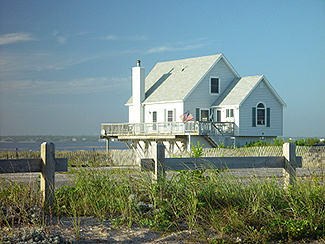 In the case of an estate sale, the estate normally has up to a year to sell as long as someone is communicating with the Reverse Servicer. The closing costs on a reverse vary. You can take a bit higher fixed rate and the closing costs may be only $4,500. With a line of credit (LOC) or a market fixed rate closing costs can be $10,000 – $15,000 depending on loan size. You can choose to take a lump sum, one time at closing or can take a line of credit where you can take a certain amount during the first year and then additional monies are available year two and each year whatever portion of the line you do not use, will automatically increase year-to-year. The amount of the Reverse Mortgage you have access to depends not only on the product you choose but on the borrower’s age and value of the home. WE AT DML MORTGAGE PROVIDE A DETAILED BREAKDOWN OF WHAT YOU MAY QUALIFY FOR ON A REVERSE MORTGAGE. JUST VERIFY YOUR CREDIT IS GOOD AND PROVIDE US WITH YOUR DATE-OF-BIRTH AND HOME ADDRESS AND LET US KNOW IDEA OF HOME’S VALUE AND WE WILL SEND YOU BACK A FOUR PRODUCT COMPARISON OF HOW MUCH YOU MAY QUALIFY FOR ON A REVERSE MORTGAGE AND EXPLAIN THE LOAN PROCESS IN DETAIL. Many previous homeowners who may have run into the negative consequences of the recession are looking to get back and become homeowners again. FHA -3 years if in default at time of sale; VA -2 yrs; FNMA if extenuating circumstances may be 2 years; otherwise 4 years; USDA -3 years. FHA -3 years from completion; VA -2 years; FNMA 7 years from completion, 3 if extenuating circumstances; USDA 3 years. FHA 2 years from discharge date; VA 1-2 years extenuating or 2 years; FNMA 4 years or 2 extenuating; USDA -3 years from discharge date. FHA -2 years from discharge date or 1 year payout completed, all payments on time and court allows in writing new mortgage; VA -same as FHA; FNMA – 2-4 years; USDA 1 year similar to FHA. When it comes to credit make sure you have tri-merged mortgage credit report run and check with your mortgage professional to insure you are ready, willing and able to be mortgage qualified today. As always we are finding that qualifying ratios may be more flexible than you think but when it comes to credit, the score and your payment history will truly dictate whether or not you will secure mortgage finance. Note, it is a great idea to buy/invest in real estate. I love to work with young first time buyers especially in their 20’s that have the foresight to purchase something today with rates so low and prices having been redefined. A great example is the ability to purchase say a two-family home. One can do it with FHA financing with as little as 3.5% down and have seller pay the closing costs. As such you may pick up a home for $400,000 spending as little as $14,000 if seller agrees to pick up all the closing fees (effectively netting the seller around $385,000). In this scenario if rental income on the 2nd unit is $1,600/month (rents continue to increase in excess of real estate appreciation) and real estate taxes roughly $12,000/year, a 30 year fixed rate FHA mortgage of 3.75%, our buyer can expect to have a total monthly payment of approximately $3,242. After taking into consideration the rental income on the subject (we use 75% of leased or market rent-whichever is lower), our borrower needs to earn around $85,000/year with debt not in excess of $1,230/month OR can make as little as $75,000/year if debt is no more than $780/month. Get in, learn how to manage your home, your tenant and before long you can be purchasing your second home and keep this one as an investment property. You’ve just increased net worth potentially by $1M in the long term. AS I ALWAYS SAY, HOMEOWNERSHIP, IT’S A DREAM WORTH PURSUING!! Recently I read an article about holiday wishes that championed the free monthly offering of “FICO” scores by various credit card companies. The writer was excited that in 2015 “FICO” scores were being provided to credit card holders by most creditors. It seems as though the writer assumes that this is a good thing and will help bring clarity to consumers but when you take a closer look is this really the case? The majority of credit card companies now offer a free “FICO” score once a month. Most assume there is one version of the “FICO” score and do not realize the score given to us with our credit card is not the same as the “FICO” score lenders use. There are about 50 different versions of the “FICO” score and the one we get from our credit card provider is the FICO 8. The FICO 8 is usually higher than the FICO score lenders use for the purpose of a mortgage or business loan. The other problem is the credit card company only provides one of the three FICO scores needed to assess the score threshold. Each individual has a FICO score for each of the three major credit bureaus that represents the risk level of the information presented. Most lenders use the middle score of these three numbers to decide the risk of lending to this borrower and loan pricing. Joe has been watching his credit scores monthly through his credit card FICO 8 score. He does not read the fine print and assumes since it is a “FICO” score it is the same as the score his banker will use when he refinances his mortgage next month. Joe’s FICO 8 score is consistently between a 750 and a 760. He has learned from online banking sites that being above a 740 will get him the better pricing on his loan. He is sure the mortgage process will be easy and pricing will be low. As the time rolls around for him to apply he contacts his banker who pulls his credit. The banker comes back to him explaining that since his score is a 720 he will not get the best pricing. Joe is confused and his banker refers Joe to my company for clarity. After speaking with Joe he finally understands that a FICO 8 is not the same version as the score his mortgage banker is using. Unfortunately in Joe’s case the FICO 8 was much higher than his mortgage score and due to deadlines he had to refinance immediately and could not wait for his credit score to improve. In another case, Janet is about to begin the process of shopping for a house. Her credit card score has been above a 765 for the past 5 months. She meets with a banker at her realtors request to get a mortgage pre approval letter which is required by sellers. The banker pulls her credit and her middle score comes in at a 640. Janet is shocked and after reviewing a copy of the credit reports she sees a few collection accounts on her credit. As she researches further she learns these accounts were only on her TransUnion and Equifax. Because the credit card issuer only provided the Experian FICO 8 she was only seeing 1/3 of her credit scores. Since the mortgage banker takes the middle number score even if her Experian FICO mortgage score was a 765 the other two were 640 and 630. Her middle score would remain at a 640. Most collection agencies only report to two of the three credit bureaus since it is less costly and still has a great impact on the middle score. After understanding how the three scores work in regards to a mortgage she felt frustrated by the one score provided to her by her credit card issuer. Fortunately we were able to improve her scores by the time she found a home and she did wind up receiving excellent pricing on the loan. Having the correct information and insight about credit scores can lead to reaching goals successfully and huge savings for individuals. The site that offers the closest version of the lending FICO score to consumers is myfico. Please share this information with your clients, friends, and family. I am often challenged with why use DML Mortgage. Whereas we have in house underwriting and over 27 years experience in business there is a defined reason I never became the Banker (although maybe mom wanted me to be the Banker). A good mortgage broker with strong back office support can be more flexible, more service-oriented than the Banker who is in a never ending cycle to figure out which product line they want to offer and the never ending changes they must battle, both corporate and regulatory. Mortgage Broker can pursue the best program and product that fits their borrowers needs better than the banker who may be subject to specific corporate pricing that hinders their ability to compete that given day, week, month or year. Broker is better positioned to navigate the never ending sea of changes as we are leaner, meaner and more on top of our game. It is often that we see our price better than competition for no other reason that today we may have Investor “A” with best rate and tomorrow Investor “B” or “C” so we can confidently maneuver and keep are customers happy. Support, service, price, flexibility. The Broker model not only works for me (sorry mom) but for the thousands and thousands of customers we have assisted and continue to serve.